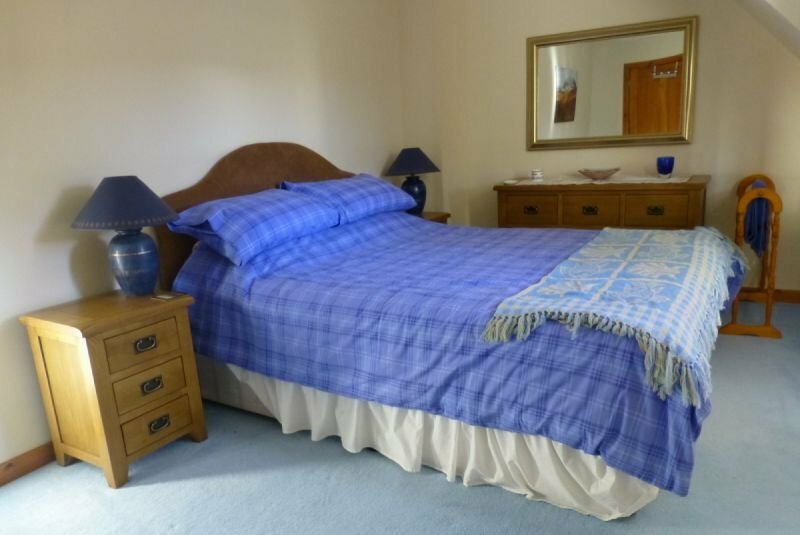 Cromar is set in the quiet countryside of Badninish, 1 mile from the A9 with stunning views of surrounding countryside and just 3 miles from the historic town of Dornoch. There is plenty off-road parking next to the house. Additional private bedrooms available for families or groups travelling together. Garage available for motorcycle or bike storage along with use of hose pipe. Overnight home laundry service available. Situated one mile from the North Coast 500 route and 2 hours drive to the Orkney ferries. Double bed | Private bathroom | Sun room | Pets allowed | Free WiFi | Continental breakfast included. Fridge, kettle, toaster and BBQ available for guest use. Single person rates: from £35 per night. Extra person per room: from £25 per night.